Facts and quotes published in the sidebar. ...that "a majority of Europeans want a ban on immigration from Muslim-majority countries, a poll has revealed. An average of 55 per cent of people across the 10 European countries surveyed wanted to stop all future immigration from mainly Muslim countries...Only 20 per cent disagreed, while 25 per cent said they did not know." ...that half of Canadians support a travel ban on people coming from countries affected by terrorism to protect Canada from terror. The swing of opinion comes after a series of Muslim terror attacks which has left many hundred Westerners in the USA and Western Europe dead. ...that of the 163,000 asylum seekers arriving in Sweden in 2015, only around 500 (0.3%) managed to get a job. ...that the recently founded anti-establishment party Alternative for Germany (AfD) came second and third right off the bat in German state elections in March 2016. The result is widely interpreted as a vote against Merkel's invitation policy for Third World economic migrants. ...that a number of Eastern European nations have started to build border barriers against the tide of illegal immigrants from the Third World. Recent defensive measures include a Greek and a Bulgarian fence on the Turkish border, a Macedonian fence on the Greek border, a Slovenian fence on the Croatian border, an Austrian fence on the Slovenian border, Hungarian fences on the Croatian and Serbian border, and a Latvian fence on the Russian border. However, with the notable exception of Hungary, the various projects rather serve to channel the migrant influx towards the border crossing points than to stop it as most European governments and the EU still lack the political will to defend their own territory. ...that "the difference between the taxes paid and services consumed by the average recent immigrant equals about $6,000 annually. Given the total number of these immigrants, the annual fiscal burden on Canadian taxpayers comes to about $30 billion." ...that Hungary is building a 175km fence along its border with Serbia to stop the flow of illegal migrants. The Hungarian government has already declared its readiness to fence off its borders to neighbouring Romania and Croatia too if necessary. ...that the terror organization Islamic State is what Canadians fear most. 58% of Canadian citizens said they were "very concerned" by the Islamic State, while 45% said the same for global climate change. ...that "in real terms, Department of Indian Affairs and Northern Development spending on Canada’s Aboriginal peoples rose from $79 million annually in 1946/47 to almost $7.9 billion in 2011/12. Using census data and adjusting for population, Aboriginal/Indian Affairs spending increased from $922 per registered First Nation individual in 1949/50 to $9,056 in 2011/12. That constitutes an 882 percent rise in spending per First Nations person." 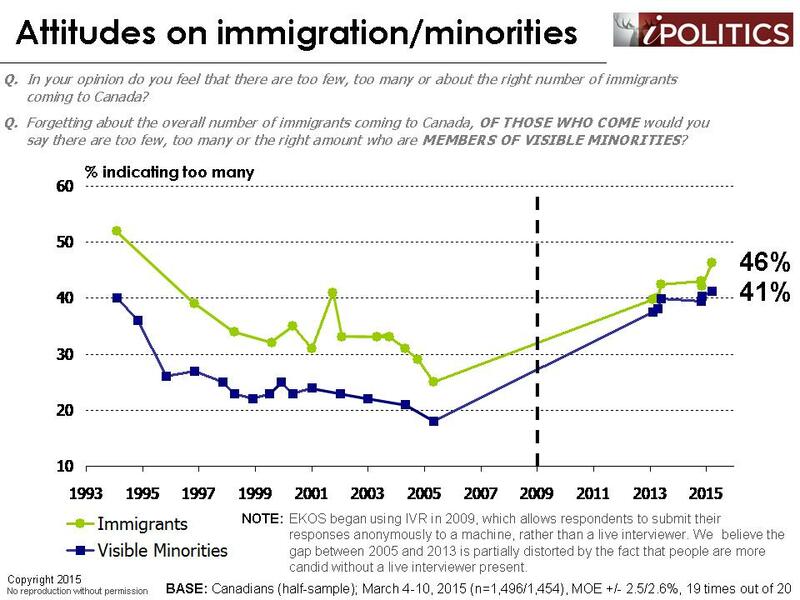 ...that a 2015 poll found that 41% of Canadians believe that their country lets in too many members of visible minorities and 46% feel that the overall number of immigrants is too large. The data shows the number of citizens critical of immigration to be on a marked rise since 2005. ...that FDesouche is the most popular political blog in France. FDesouche is short hand for "French by origin", referring to the White French natives as opposed to mere French passport holders. FDesouche has up to 90,000 visitors daily and is also read by Marine LePen, the president of Front National. ...that Marxist student leader Rudi Dutschke who coined the famous slogan of the "Long March through the Institutions" of the movement of 1968 also strongly argued in favour of German reunification, making him a rare representative of the national left. ...that Vancouver is the most Asian city outside Asia. 43% of Metro Vancouver residents have an Asian heritage, a much higher proportion than any other major city outside the continent of Asia, and it is still rising: the Chinese populations of Vancouver (and Toronto) are set to double by 2031, pushing Whites below 50% of the population in both cities. ...that as many as 15,000 Germans protest in Dresden every week against poverty immigration, abuse of the asylum system, Islamizing tendencies and parallel societies in the country. The demonstrators chant "We are the people", the slogan of the 1989 revolution against the communists, and sing together Christmas songs. The growing protests have spread to half a dozen German cities, with a number more having announced to join the protests in January. ...that gangs of Pakistani men sexually exploited over 1,400 British native children, as young as 11, from 1997 to 2013 in the town of Rotherham. The child abuse scandal has been drawing nationwide criticism on how fear for being viewed as political incorrect had paralysed British investigators for years to act on the crimes of the Muslim men. ...that according to the first census after Confederation in 1871, Canada's population comprised 3.2 million Europeans and only 23,000 natives and 21,500 blacks. ...that the acclaimed Chinese 'explorer' Zheng He (1371-1433) did not discover a single nautical mile on his voyages in the Indian Ocean, but sailed the same waters which Greeks, Romans, Byzantines, Persians, Arabs and Indians seafarers had been navigating for many hundred years before. It is likely that Zheng, himself a Muslim, derived his nautical knowledge from these foreign sources. ...that the number of 'European' jihadists in Syria and Iraq is estimated by the EU anti-terror coordinator Gilles de Kerchove to be over 3.000. This is the second largest contingent after the Arab states. From Canada around 130 Muslim fighters have joined the Islamic extremists. ...that according to the 2011 Census, Canadians of Asian ancestry comprise the largest visible minority group in Canada, at 15% of the Canadian population, and is the fastest growing. The largest subgroups of Asians are: Chinese (1,487,580), Indians (1,165,145), and Filipinos (662,600). Statistics Canada projects that, by 2031, nearly 40% of children under the age of one in Canada will belong to a visible minority group. ...that "the number of Muslims in Canada is expected to nearly triple in the next 20 years, from about 940,000 in 2010 to nearly 2.7 million in 2030. Muslims account for a larger share of the general population in Canada than they do in the United States. By 2030, 6.6% of Canada's population is projected to be Muslim, up from 2.8% in 2010. Within two decades, Canada is expected to have the second-largest number of Muslims in the Americas." Most journalists are so stupid, the fact that they are also catty, lazy, vengeful and humorless is often overlooked. The only way the identity politics of the left can be effectively challenged is with an identity politics that recognizes the biological grounding of humans as well as the kinship-based identities of nations. The left does not win its battles in debate. It doesn’t have to. In the twenty-first century, media is everything. The left wins because it controls the narrative. The narrative is controlled by the media. The left is the media. Narrative is everything. Being a tourist who is generally interested in the distinctiveness of places and peoples I have come to dislike the random and replaceable character of 'diverse' cities. You see one of them, you've seen them all — like an airport lounge. Stripped of respect and natural leadership qualities, the Western man of the future is mentally pliable, physically defenseless, and unable to raise and lead a strong family unit. He is a man-child, a living Homer Simpson character. His purpose in life is to shut up and consume. He is a soulless, socially-engineered neutered pet that yelps and dances for wages from a multinational corporation managed by STEM feminists. To say that Amerindians, Asians or Blacks made a contribution to the nation-building of Canada is like saying that 4th line players on a cup winning hockey team made a contribution to the team. Of course, they did. But it is the first and second lines that made them a contender. We must not allow our shores to be overrun by Asiatics, and become dominated by an alien race. Somebody needs to tell me why it's wrong for white people to vote their interests when it's not wrong for African-Americans to unify and monolithically vote their interests. Women monolithically unify; vote their interests. Muslims monolithically unify; vote their interests. Gays and lesbians unify; monolithically vote their interests. Feminists unify; vote their interests monolithically. That's how the Democrat Party wins. All of these different constituency groups think, act, and vote alike — and when they do it, they call it "progress."... [So] why is it illegitimate for white people to do exactly what every other group in the Democrat constituency does? The corporate media in our country is no longer involved in journalism. They are a political special interest, no different from any lobbyist or other financial entity with a total political agenda; and the agenda is not for you, it's for themselves...The establishment and their media enablers wield control over this nation through means that are very well known. Anyone who challenges their control is deemed a sexist, a racist, a xenophobe, and morally deformed. They will attack you, they will slander you, they will seek to destroy your career and your family. They will seek to destroy everything about you, including your reputation. All countries that say anyone who gets here can stay here are now in peril, given the scale of the population movements that are starting to be seen. There are tens, perhaps hundreds of millions of people living in poverty and danger who might readily seek to enter a western country if the opportunity is there. And who can blame them. Yet no country or continent can open its borders to all comers without fundamentally weakening itself. And this is the risk that the countries of Europe now run with misguided altruism. We have a dysfunctional immigration system which does not permit us to know who we let into our country, and it does not permit us to protect our citizens...The immigration laws of the United States give the President the power to suspend entry into the country of any class of persons that the President deems detrimental to the interests or security of the United States, as he deems appropriate. I will use this power to protect the American people. When I am elected, I will suspend immigration from areas of the world when there is a proven history of terrorism against the United States, Europe or our allies, until we understand how to end these threats. Justin Trudeau in his boyish enthusiasm for the homosexual agenda fails to understand that he is the Prime Minister of Canada and not the Prime Minister of the homosexuals. Raising a homosexual flag on Parliament grounds displays the narrow, extremist, and exclusive viewpoint of the current Liberal government. The rainbow flag represents the views of an activist special interest group only. To raise this flag is offensive to all Canadians who have knowledge and concern about Canada's history, culture and traditions. Constitutional order is necessarily built on an existing community with a history; it is built on a community of real people of flesh and blood, one that is aware of its identity. It is never built on abstract theories. Abstract theories may help define the common principles and interests, but they must not supersede them. Canada was founded by Europeans and everything about this country is Western, and yet our education system is all about promoting others who have had a very limited impact on the actual legal, political, and cultural landscape of the country. The big problem this country has is being politically correct. I've been challenged by so many people and I don't frankly have time for total political correctness. And to be honest with you, this country doesn't have time either. Let's press our politicians to start saying "Merry Christmas!" again the way Republican candidate Donald Trump has said he would, stating: "If I become president, we're all going to be saying Merry Christmas again." This is the kind of politician we need in Canada, unafraid to take on the insidious attacks by cultural Marxists on our traditions and nationality. "Happy Holidays" may seem to be an innocuous "tolerant" phrase, but it is nothing but a calculated assault on our Christian and European heritage in order to create a deracinated global place occupied by millions of Africans, Mestizos, Muslims and Asians trampling upon Eurocanadians. The rest of the world does not have a civil right to move here. We're under no moral imperative to allow any immigration at all. We don't owe citizens of other countries anything. Many Europeans are the "hollow men" of T. S. Eliot's depiction. They have repudiated their cradle faith Christianity, apologized for the sins of their fathers and sought to make reparations, embraced La Dolce Vita, materialism and hedonism, freeloaded off U.S. defense for 70 years, ceased to have children, thrown open their borders to former colonial peoples to come and repopulate the continent, and turned their back on patriotism to celebrate diversity and globalism. They invited the world in. And the world is coming to enjoy the lavish fruits of their welfare states and, one day, will be using the West's concept of one-man, one-vote to rule the countries that ruled their ancestors. The colonized are slowly becoming the conquerors. The challenge of ISIS is not entirely unhealthy. It will tell us whether Europe has the will to survive. I was in Paris recently, and Paris doesn't look like Paris anymore. You look at what's going on with some of the major cities and some of the major countries, even before this [refugee influx], and I'm not hearing that's what they want. There are some people who imagine they can disarm the enemy by complacent flattery. They are wrong. The world has always belonged to the stronger, and will belong to them for many years to come. Men only respect those who make themselves respected. Whoever becomes a lamb will find a wolf to eat him. The European left sees the problem of immigration not as a source of danger but as an opportunity. They believe...that the escalation of immigration can extremely weaken or even eliminate the national structures. All peoples have ethnic interests and all peoples have a legitimate right to assert their interests, to construct societies that reflect their culture, and to define the borders of their kinship group. Multiculturalism is balkanization pure and simple. Universities are the boot camps for political correctness. Whereas you arrive at the US Marine Corps Basic Training Camp a wimp, and emerge eight weeks later a marine, you arrive at university uninformed, and emerge four years later misinformed. The approach [to build] a multicultural [society] and to live side-by-side and to enjoy each other...has failed, utterly failed. Free institutions are next to impossible in a country made up of different nationalities. Among a people without fellow-feeling, especially if they read and speak different languages, the united public opinion, necessary to the working of representative government, cannot exist...It is in general a necessary condition of free institutions that the boundaries of governments should coincide in the main with those of nationalities. 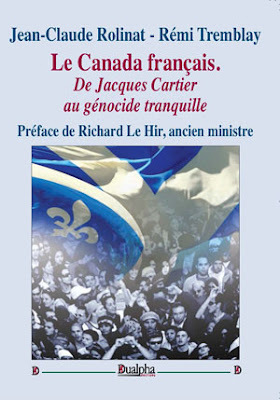 Canada is perfectly within her rights in selecting the persons whom we regard as desirable future citizens [...] There will, I am sure, be general agreement with the view that the people of Canada do not wish, as a result of mass immigration, to make a fundamental alteration in the character of our population. Large-scale immigration from the Orient would change the fundamental composition of the Canadian population. In multiracial societies, you don't vote in accordance with your economic interests and social interests, you vote in accordance with race and religion. Words need to be sown like seed. No matter how tiny a seed may be, when it lands in the right sort of ground it unfolds its strength and from being minute expands and grows to a massive size. The Koran and the Mussulman legislation emanating from it reduce the geography and ethnography of the various people to the simple and convenient distinction of two nations and of two countries; those of the Faithful and of the Infidels. The Infidel is "harby", i.e. the enemy. Islamism proscribes the nation of the Infidels, constituting a state of permanent hostility between the Mussulman and the unbeliever.